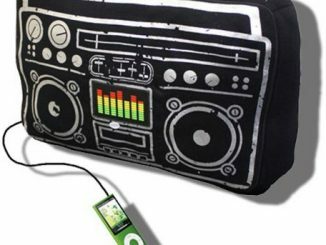 Recently we have seen our friendly neighborhood Spider-Man as a Speaker Pillow and a Boombox Backpack. 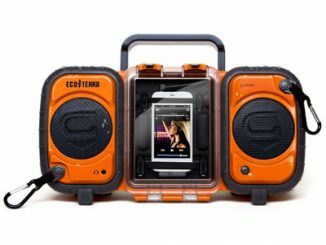 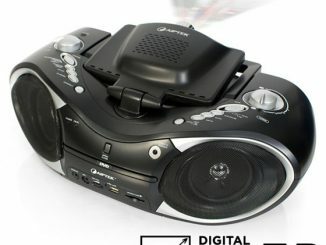 Throw in a CD player and a radio, mix it around, and you now have this superhero product. 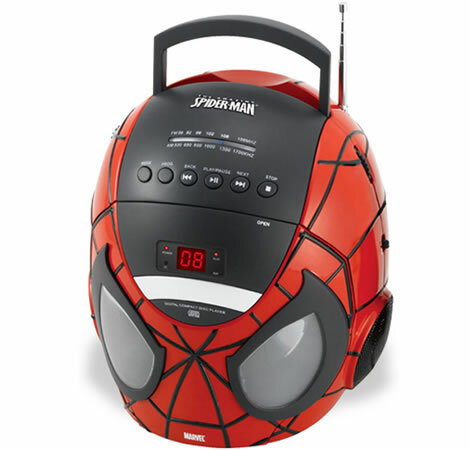 The Spider-Man CD Boombox with AM/FM Radio ($50) is shaped like Spidey’s head and includes a built-in CD player and AM/FM stereo radio. 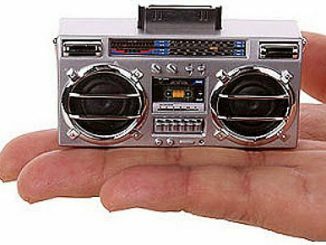 It requires 8 x C batteries or AC/DC power and measures 8 x 5.25 x 6 inches. 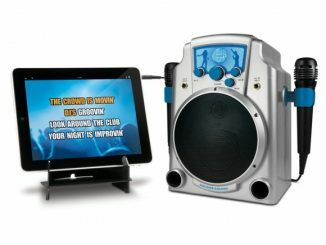 Amazon has a very similar product; the Spider-Man Karaoke Boombox (currently out of stock) that, in addition to the above, comes with a microphone and a karaoke sing-along feature. 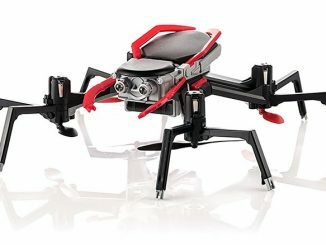 Disgo Video – World’s Easiest Video Camcorder? 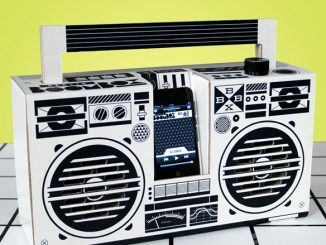 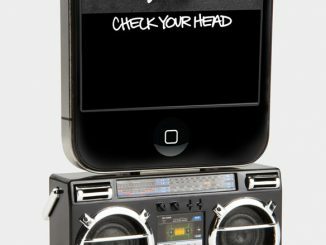 You can get the “Spider-Man CD Boombox with AM/FM Radio” via the link included in the article above. 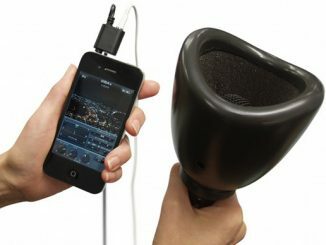 The karaoke version really looks interesting. 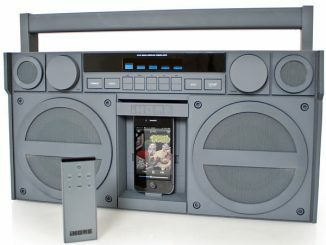 I think it is goint to be a nice present for my nephew. 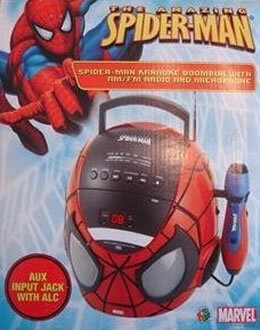 i would like to know where i can buy one of these spiderman cd boombox….